Adopting a shelter dog can come with many questions, but also endless love. A little boy imagines what life was like for his new dog before he adopted him from a shelter. Maybe he had a boy who loved him, but the family had to move and couldn't keep him. Maybe he belonged to someone who didn't appreciate how mischievous puppies can be. Maybe he was treated badly, and now he can be shown all the love he's been missing. This boy wonders about all of these things, but maybe they don't matter. Because now, his dog is home. 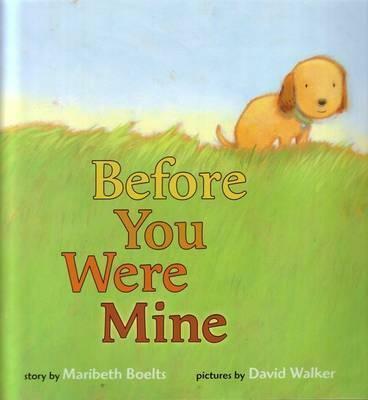 Winner of the Humane Society KIND Children's Picture Book Award and the ASPCA Henry Bergh Children's Book Award, this touching story celebrates all who support, care for, and adopt shelter dogs. Maribeth Boelts and her family live in Cedar Falls, Iowa. Their second rescued dog, Dixie, lives happily with them. David Walker lives in Chapel Hill, North Carolina. Every dog he's had has been rescued, but he's always felt like the lucky one.